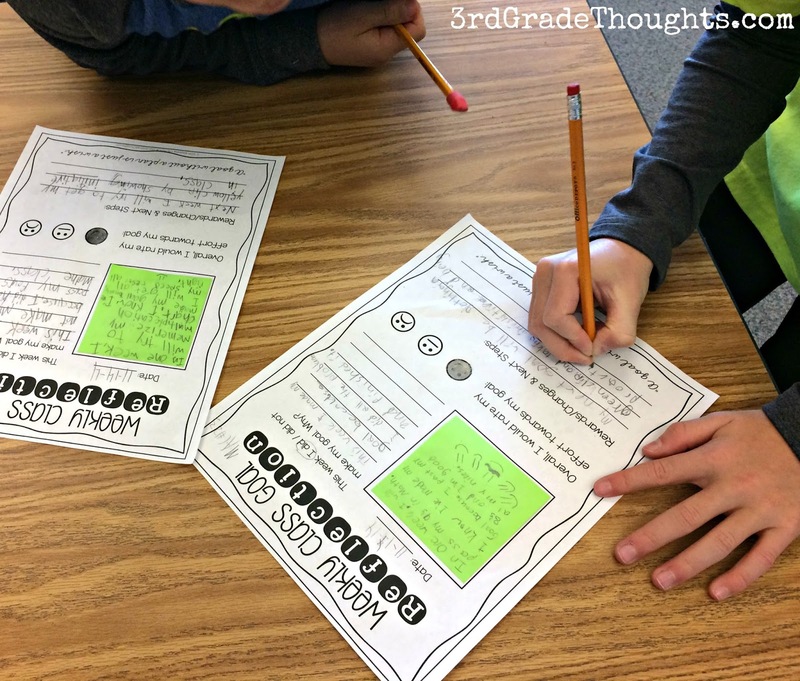 This post originally appeared on the blog 3rd Grade Thoughts. 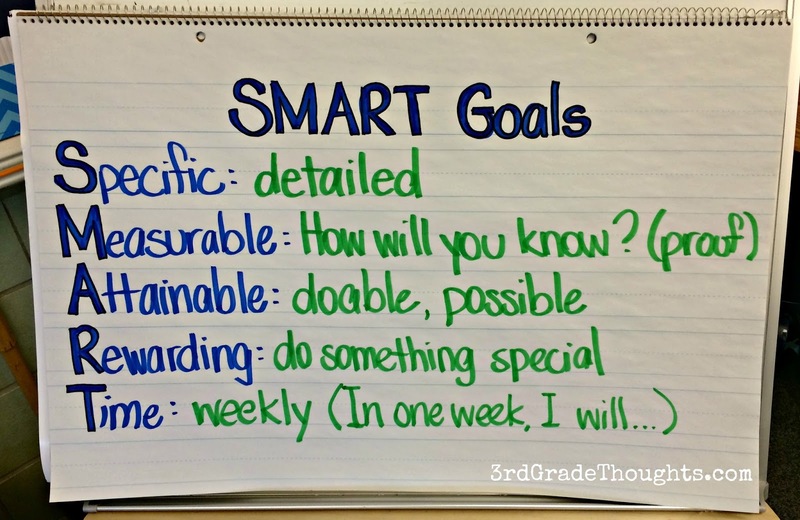 Every Friday, we dig into goal-setting work in my classroom, and it’s turned into my most favorite time to teach! 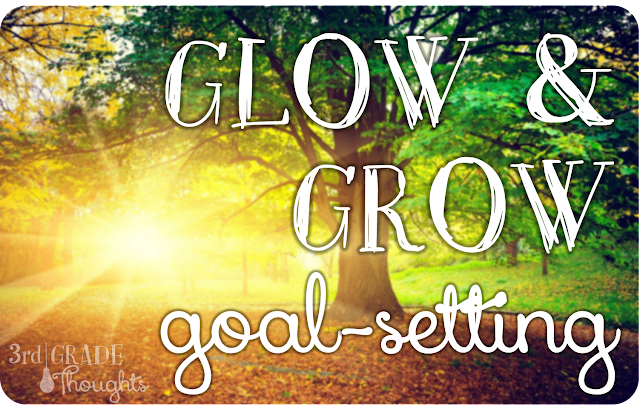 To see all of my goal-setting posts, click HERE or scroll to the bottom of this post to see what we’ve been up to. 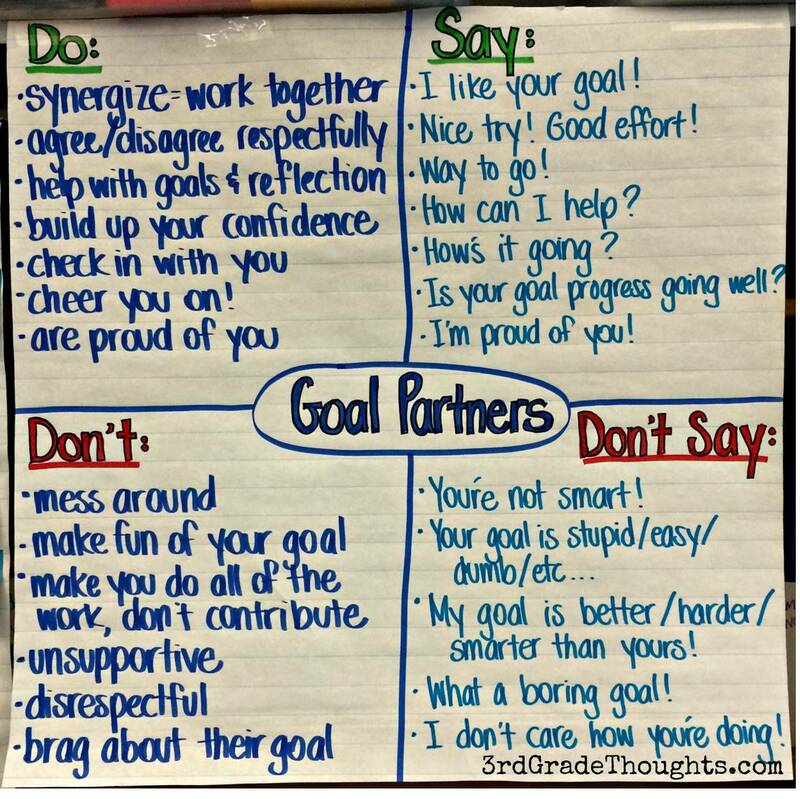 This week, we started talking about Thinking Win-Win, especially when it comes to making deposits into each others (and my!) 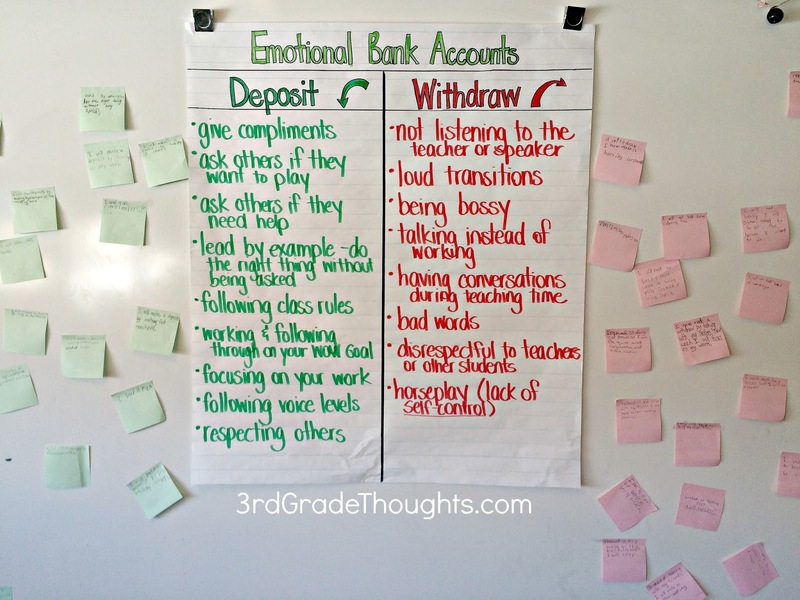 Emotional Bank Accounts. 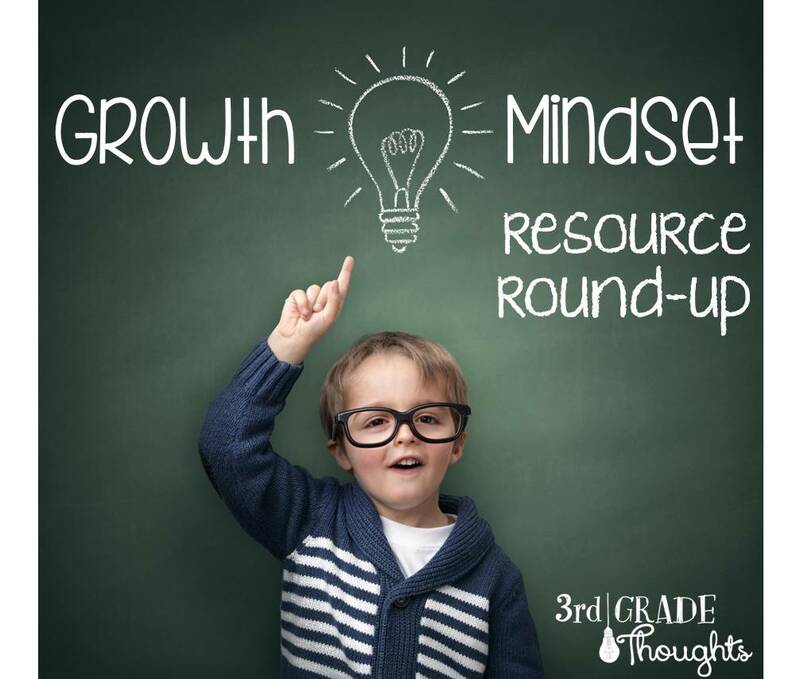 While we start each year with Bucket Filling and use that terminology throughout the year, I find this term is a nice change. 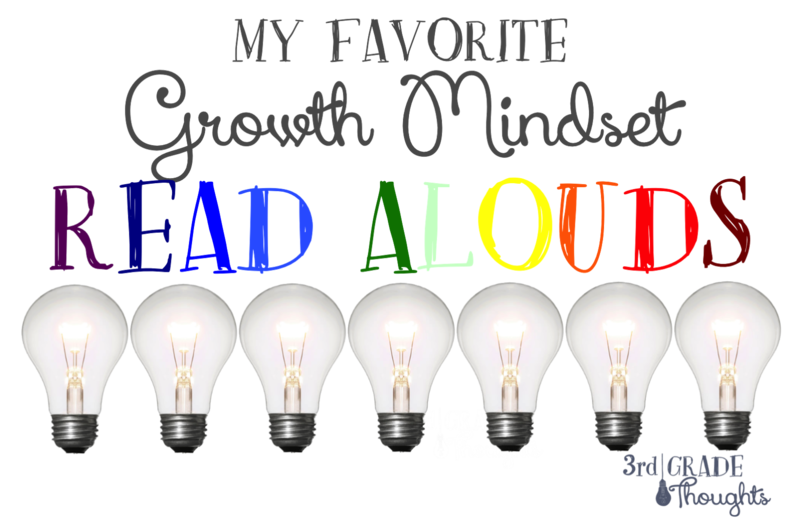 It never hurts to hear it in a variety of ways, right? 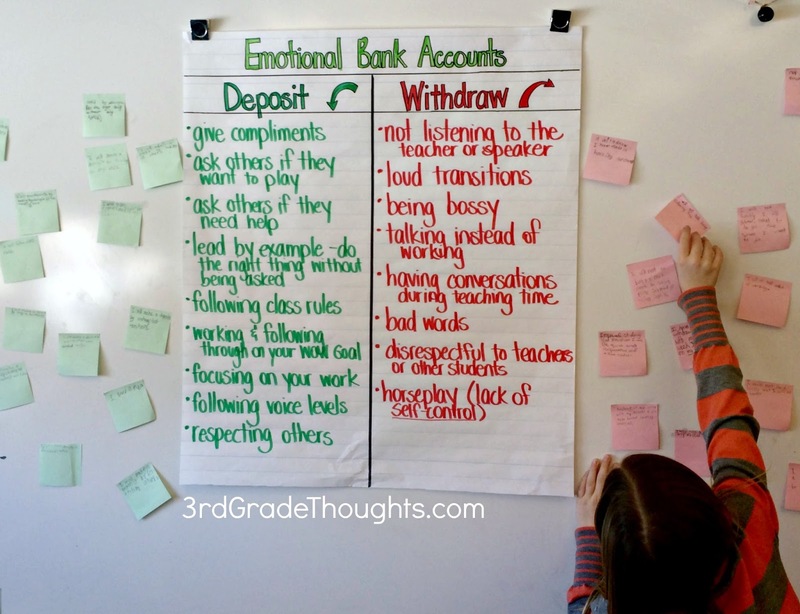 We talked a lot about our personal Emotional Bank Accounts, but we also talked about our classroom’s Emotional Bank Account, as well as mine and other teachers’, students’, and adults’ who they interact with on a daily basis. 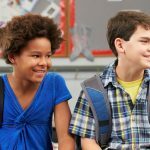 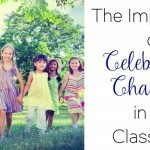 The addition of our classroom’s Emotional Bank Account was something that really hit home — I wanted to emphasize that the choices they make don’t just have an individual impact. 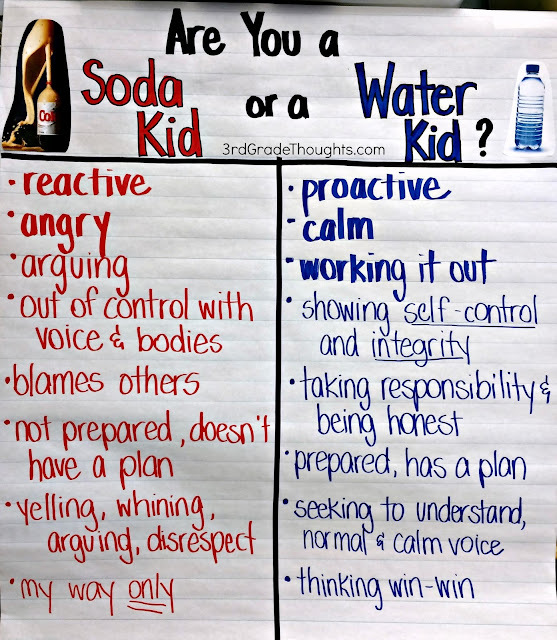 Oftentimes, their choices (both good and bad) have class-wide consequences. 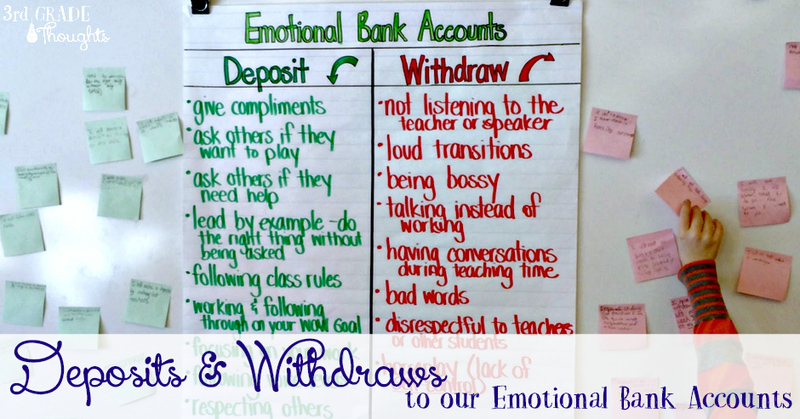 When they make these choices, they should be thinking about whether it’s adding or subtracting from our classroom’s Emotional Bank Account. 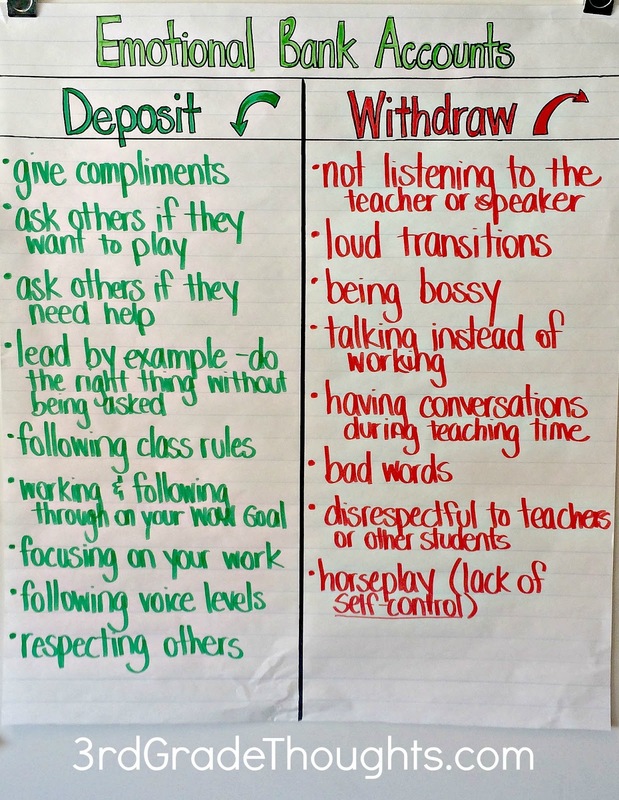 We generated some common deposits and withdraws that we have been seeing in our classroom. 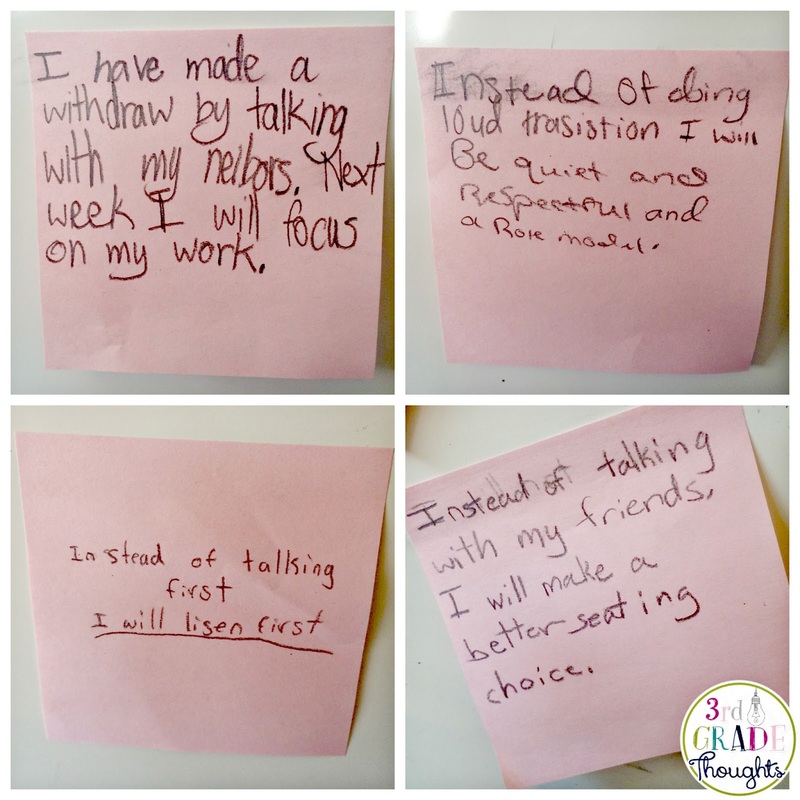 Since it’s so close to Spring Break, but we’ve been snowed in, you can see that self-control is a large focus here! 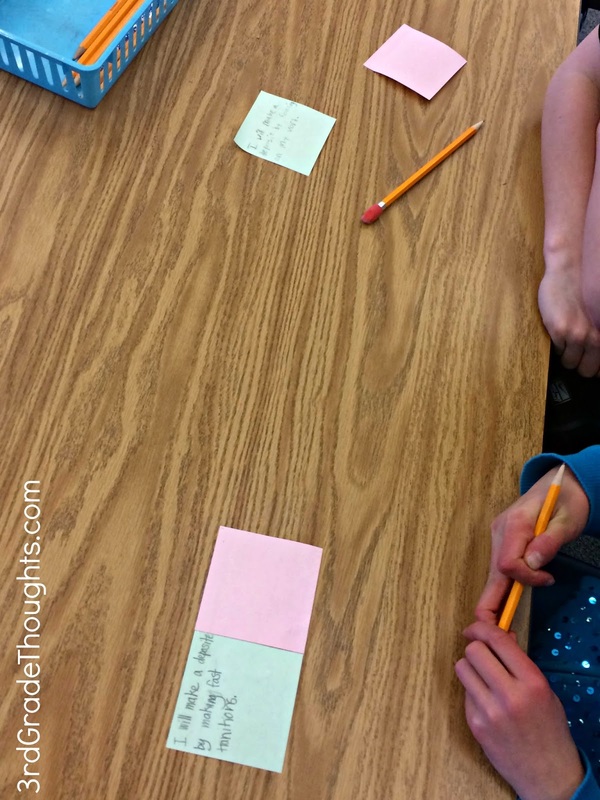 I then passed out one green and one pink sticky note to each student and had them head back to their table spots. 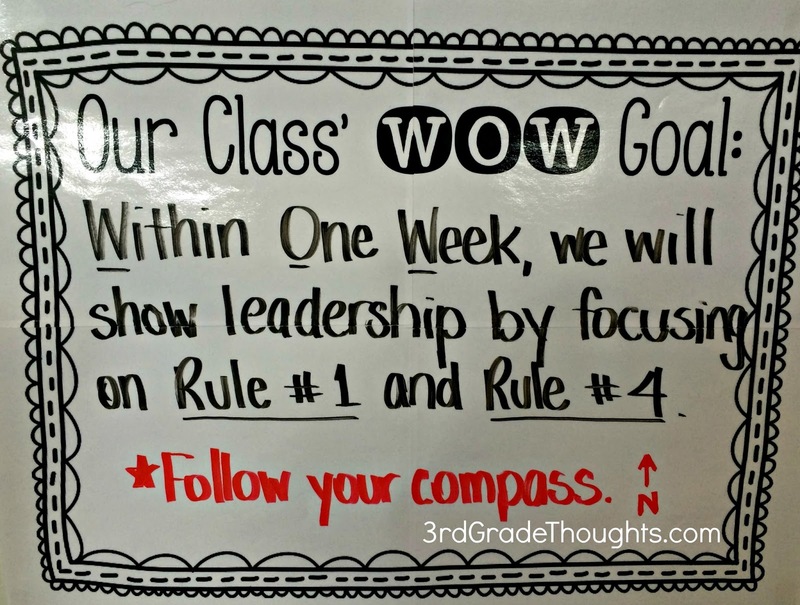 There, they generated one deposit (on the green) that they would make sometime next week. 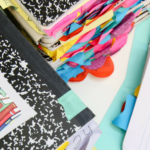 Similarly, on the pink, they thought of a withdraw they have been making and thought about how they could do something different to change that choice for next week. 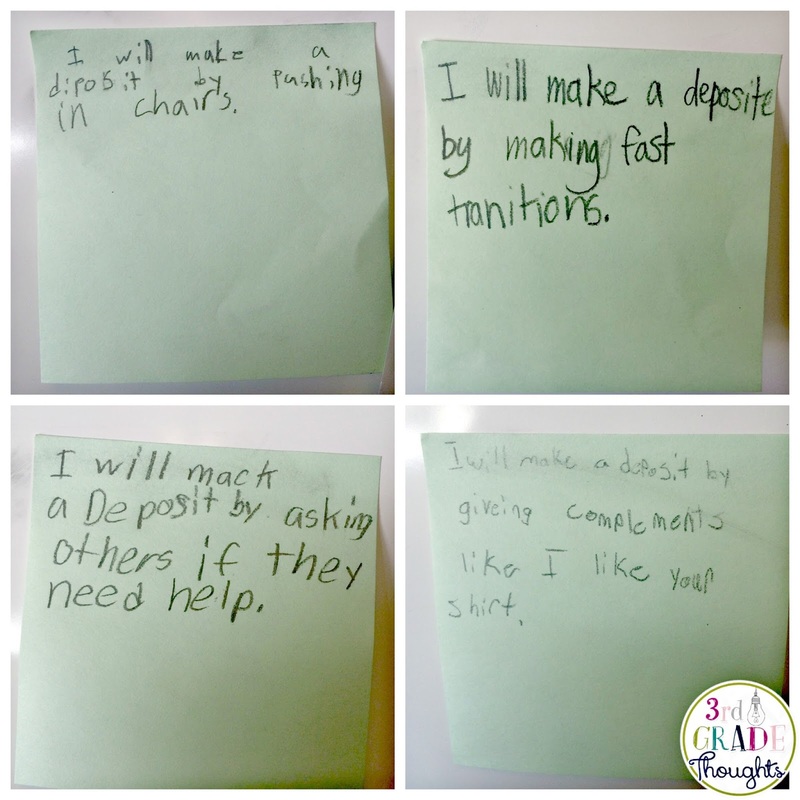 Little deposits like these will add up to make a huge difference to our classroom community overall. 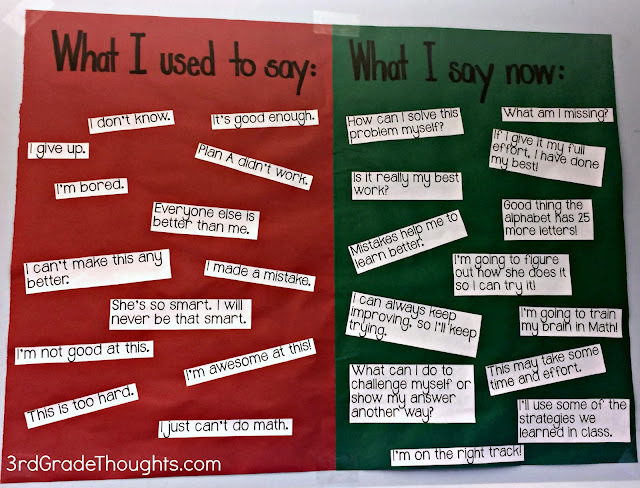 I am also making a point to use the “deposit” language when it comes to clipping up in my classroom. 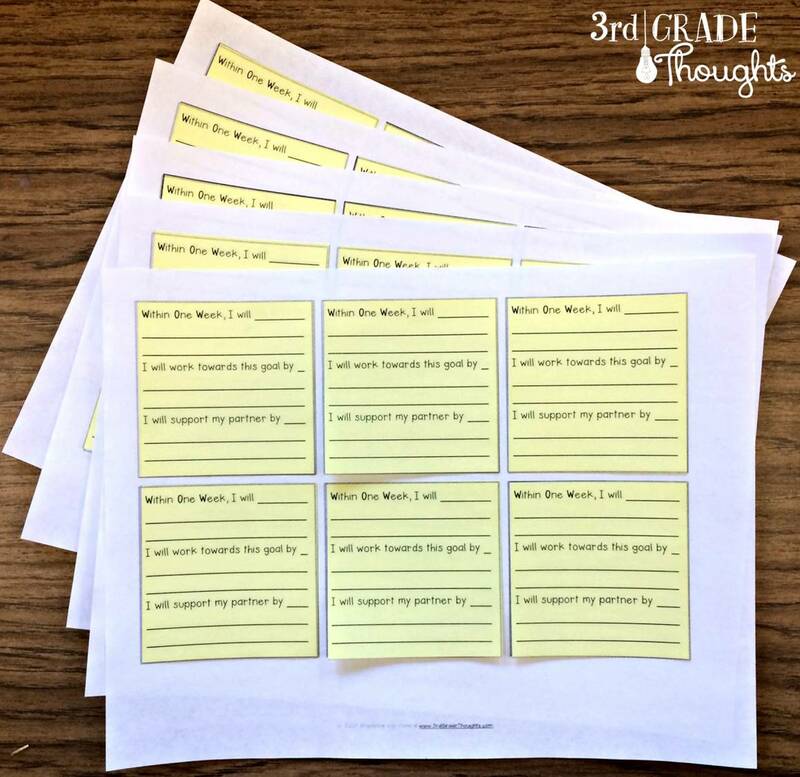 I want my kids to know that their clip up means they have increased our class’ Emotional Bank Account and that their choice has not only positively impacted themselves, but our classroom as a whole. 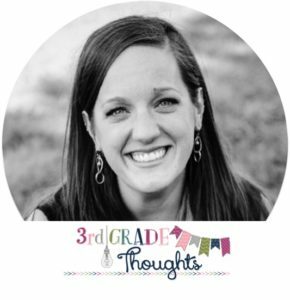 Stephanie has taught 3rd grade in Boulder, Colorado for the past 11 years and blogs at 3rdGradeThoughts.com. 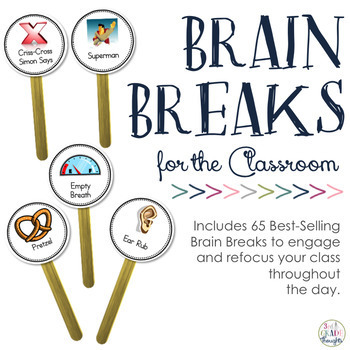 She loves getting kids up and moving around the room, from Brain Breaks and movement games, to hands-on learning with art, technology, projects, and more! 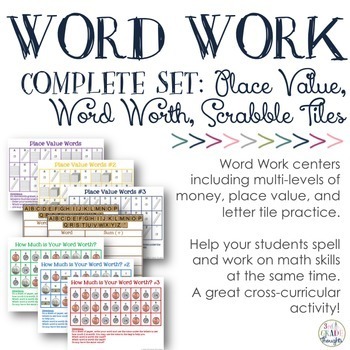 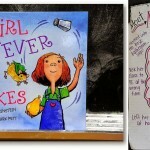 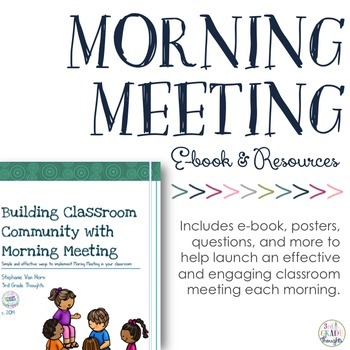 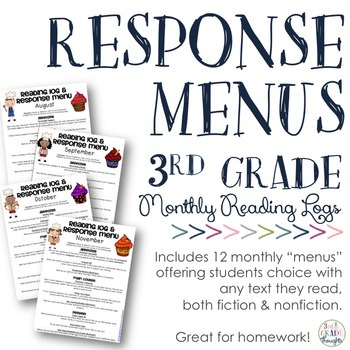 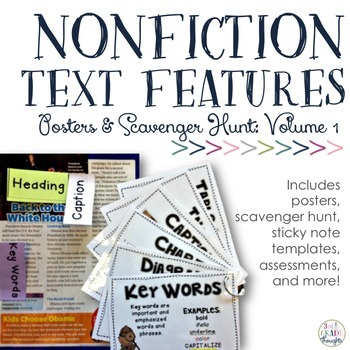 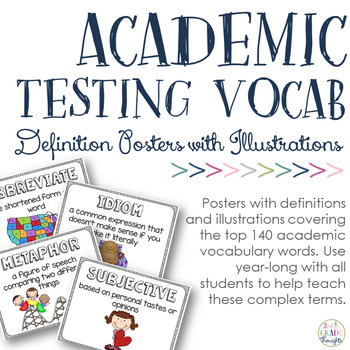 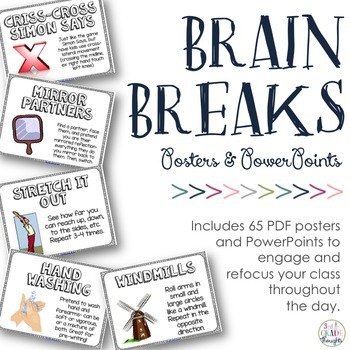 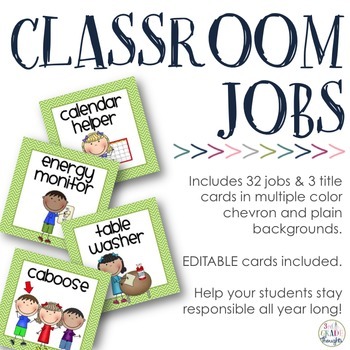 Connect with her on Facebook, Instagram, and Pinterest for more ideas and classroom inspiration.